Polaroid 600 Film is no longer a dead product. Now you can buy new 600 Film which are better quality and cheaper than the old product. Same goes for Polaroid SX-70 Film and Polaroid Spectra Film. These 3 types of instant film can be bought for so many online stores and available in local camera stores too. Also These film packs come in different varieties. You can buy normal color 600 film or Black & White 600 film or even with many different color borders. Polaroid 600 Film used to be a dying technology ever since they stop the production in 2008. But in 2017 Impossible Project Co. bought Polaroid Co. back and decided to revive the whole Polaroid 600 line. So now anyone can buy new Film for their old Polaroid 600 cameras. The new product is called Polaroid Originals 600 Film. This new type of Polaroid film is not some new technology or anything. It’s the latest version of Old Impossible Project 600 Film. Several Polaroid fans posted results of their tests with both type of film online showing new Polaroid Originals 600 Film works a lot better. So if you want Film for your vintage type 600 instant cameras then buy these. Today the best way to buy new Polaroid Film is buying from Amazon or Polaroid site. Problem with their site is it’s kind of expensive and shipping charges are high. But Amazon usually has good offers and also with Amazon prime you get the even lower price. A problem I usually had with local stores is they don’t store film packs properly. Plus they try to get rid of old film packs before selling new packs. Plus Amazon has a really good return policy. There are several different types of 600 instant film packs in the market. First, there are old Polaroid 600 film packs still roaming in stores. Always avoid these. These old films are more than 10 years old. You can’t expect stores have kept these in refrigerators over a decade so chemicals inside packs are probably dried already. Then there is the Impossible Project 600 Film. They have been producing these film packs for a long time. You can still find some of those old version packs in stores. Avoid these too because early versions of Impossible project 600 film packs were not so good in quality. Polaroid originals 600 Film is the cheapest Polaroid 600 film packs out there. Also, these are the latest 600 instant film on the market today. The cost per pack should be less than 20 USD. Check the Amazon ad for the latest price. So if you want to buy Polaroid 600 Film then buy only this type. Polaroid Originals 600 film can be used for Polaroid OneStep 2 instant film camera as well as for those Vintage 600 instant film camera models like Polaroid Impulse, Polaroid Sun series, and all other old Polaroid cams which used type 600 instant film packs. This new film comes with the battery for both camera and flash. Impossible Project I-Type instant cameras can use it too. People ask questions like Is Polaroid film still available? Can you buy film for old Polaroid camera? Where to Buy Polaroid 600 Film? all around the internet trying to find a film for their old Polaroid instant cameras. New Polaroid Originals 600 film packs are the answer to all these questions. These latest Polaroid 600 film packs are cheaper in price and give you higher quality photo prints than any other old type 600 film types. There are new film packs for Polaroid SX-70 and Polaroid Spectra cameras too. You can buy these from Amazon and other online stores for the pretty much same price. Are there any cheaper Polaroid 600 Film alternatives? Sadly there aren’t any. There isn’t a huge demand for these old film types so we should be grateful for getting these under 20 USD a pack. You can’t expect any other brand would start developing these vintage instant film types since there isn’t a big market for those. Everyone now focuses on developing instant digital cameras and new film types. If you are looking for cheap Polaroid camera which uses cheaper film than Polaroid 600 Film then you should buy a new Polaroid camera like Polaroid Snap which uses a new type of instant film called Zink or Zero Ink technology. But now there isn’t a big difference in cameras or film cost like it used to be. The advantage of Zink film is these prints are durable. Also, have a better quality in colors. This type of film is used by Polaroid instant digital cameras like Polaroid Snap, Polaroid Socialmatic, and Polaroid POP. There are cheap instant cameras from other brands like Fujifilm, Lomography, and Kodak. FujiFilm Instax instant camera series is even more popular than new Polaroid cameras. Instax Film is very similar to Polaroid Zink Film. Few popular Instax camera models are FujiFilm Instax 300, FujiFilm Instax Hello Kitty, FujiFilm Instax Mini 70 etc. Type 600 instant film size is 3.1 x 3.1 inches (full print 3.5” x 4.2”). FujiFilm Instax WIDE Film size is 2.4 3.8 inches (full print 3.3” x 4.2”). So if you want to use Instax camera with the similar photo size of Polaroid 600 then Instax WIDE the choice. Instax WIDE instant Film is better in quality and also last longer as photo prints. Price of a pack won’t be different between these 2 types of film, just the quality. You will be using an old Polaroid 600 camera even with new type 600 film most of the time so it might be a better going for Instax 300 camera. That’s if you need better quality photo prints. 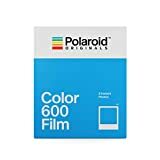 New Polaroid Originals 600 film is cheaper and the best film available for old Polaroid cameras which take 600 films as well as for new Polaroid Originals cameras. Impossible Project Co re-banded as Polaroid Originals. You can’t use this new film for instant cameras like Polaroid Z340, Polaroid Z2300 or any other new instant digital cameras. For those cams buy Polaroid Zink Photo paper. I don’t know why still people asking in places like Yahoo answers where they can buy old Polaroid 500 film. Why don’t try a simple Google search ? People wasting money buying these old expired film packs while there are new film sold by Impossible Project Co. So what is the difference between those old Impossible Project 600 film packs and new packs ? My local camera store still selling those old packs. My friend has a Polaroid 600 Sun camera and use Impossible project film packs (Old version). I can’t say result are very good. I hope this new version is better. Impossible Project keep improving their instant film technology. So latest versions mean better quality photo prints. Did you try the latest version of Impossible Project 600 instant film ? These new packs are lot better than early versions. No duds and also prints are lot clear than in old film. With the Impossible Project 600 film you need to be careful about exposing it to light right after. I generally wait 10-15 mins before checking. If you don’t keep it in a dark place it is more than likely to turn out bad with weird tones or discoloring. Impossible has a Frog Tong attachment that covers the photo right when you take it and is reusable. I just use a small sketch pad and slip it in there. Also the B&W develops a lot faster. Have you tried the monochromatic ones? Red and Black, Pink and Black, etc.? Would love to try them. New Polaroid Originals 600 Film is great. I think they do have made some real improvements. You can see photos are sharper and colors are lot brighter than it used to be. I’m very glad about Impossible Project taking over Polaroid Co. I think they can make a real difference for that brand name. It kinda strange that Impossible Project Brand is no longer available. Those who use old Polaroid cameras like us really gonna miss that name. That name become the savior of old camera owners like us. But It’s good to see they do everything to improve quality of both cameras and film. I hope they will able to do something about others types of Polaroid film too. 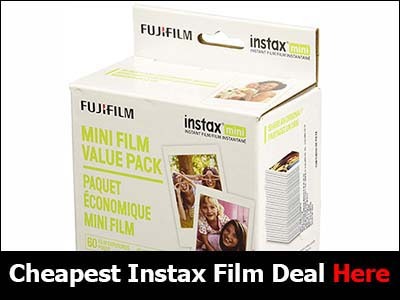 When buying any type of instant film buy the latest type in market. No matter what they say these film packs might start giving trouble when get old. Like when it comes to Polaroid 600 Film, always go for these Polaroid Originals 600 film. No Impossible Project 600 Film or those Old Polaroid 600 Film packs. This is a good way to save money as well as have less headache when you use your camera. This goes for other instant film types too. Specially For Polaroid 300 Film. If you have a Polaroid 300 camera then just buy FujiFilm Instax Mini Film for that. It will work fine. Because Polaroid 300 film is just re-branded Instax Mini film. Only just over 5 years old. So why buy these old film for higher price when there are newer film packs for cheaper? So how many exposures are included in this new Polaroid Originals 600 film packs ? 8 prints like those Impossible Project film packs ? and Do you these buying these are the cheap option ? Still these cost about 18 usd per pack. that’s about 2.25 usd per photo. Quite expensive IMO. I hope they will able to decrease the price to at least 1 usd in future. Film price is the biggest issue in Polaroid cameras. Specially when it comes to these old Analog instant cameras. Also I wonder if they have plans to redo old film types and type 100 etc. I have a beautiful highlander model sitting among my camera collection for like 2 decades now. It’s in mint condition but have no film for it. I don’t think they can bring those old film types to live again. Those film production machines were dismantled and sold for scrap even long before Polaroid went out of business. Building those machines from scratch won’t be something profitable unless they can pull something like crowd funding. I love Polaroid highlander too. It’s a worth addition for any vintage camera collection. But those were made in 50’s and 60’s. So those machines probably were all gone by 80s. It used Type 80 film. Anyway answer to your first question is, yes these film packs also have 8 prints just like those Impossible Project packs. Price is bit high indeed but this is the lowest you can get in market. Hopefully they will able to produce Polaroid 600 Film packs for cheaperin future. I bought an old Polaroid Polaroid Sun 600 LMS Instant Film Camera from a garage sale. Camera is old and had been in its original box for decades. It even had a dried out film pack inside which I removed. Now This type of Instant film packs will work fine for those old cameras ? I read the article and seems It will but I just want to make sure. These Polaroid Originals 600 film packs are expensive. I don’t want to waste money if it doesn’t work for my $20 instant camera or if the camera is no longer in working condition. I guess there aren’t any other much cheaper solutions than this. Too bad we can’t use those Fujifilm Instax photo paper or Polaroid Zink film packs. 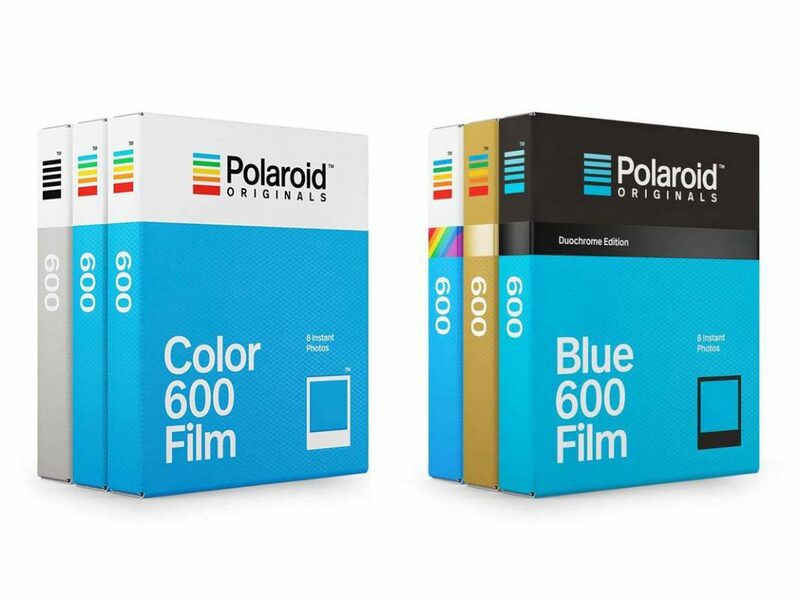 Guys these new Polaroid Original 600 film packs are same old Impossible Project 600 film packs ? Because recently I bought a color 600 film pack for my Polaroid OneStep 600 camera. It’s manufacture date was on 2017 ! Long before Polaroid was sold to Impossible project Co. So these might be re-packed impossible Project film packs ? Nothing new ? Yes. They have rebranded those old Impossible Project Film packs since Impossible Project Co. seemed to be closed. But don’t worry about manufacturing dates. Those made in 2017 will work fine. You can buy these packs for lot cheaper at Amazon Plus with free shipping. Check few offers there before buying. Oh I bought few packs of this new Polaroid 600 film. The latest kind which says Polaroid Originals. Its really nice to see price is going down. in 2010 those old Polaroid 600 film packs costed about 40 usd and there was no guarantee any of those film would work or not. Early days Impossible Project film was not so impressive either. But they have improved their film packs to a point now these instant film packs are better quality then Polaroid film used to be. I should thank for Impossible Project Co. for making this all happen. There was a time I thought Polaroid was dead. Today I saw in ebay someone has listed dozens of old Polaroid 600 Film packs each 50 usd!! I don’t know if people still buy that crap when there is brand new Polaroid 600 film packs available for much cheaper.I mean seriously! These film pack must be at least 15-20 years old. I doubt seller had those on fridge for all those years. If not, probably most of those are dead film. I hope more people will see articles like this and educate them selves about what’s the latest and whats the cheapest. Sometimes people still fall for those because of lack of knowledge. There is new Polaroid Original 600 film which is better than old Polaroid 600 film. It’s cheaper too. Problem is some people never bother to do bit of research before buying. Today it’s so easy to find everything with internet. Can we use Polaroid 600 Film for Polaroid OneStep instant camera, old model ? Because If I remember correctly old OneStep takes Polaroid SX-70 Film not 600 Film. I’m little bit confused about this new Polaroid Originals OneStep 2 camera which take Polaroid 600 film. Well you can’t those old Onestep instant cameras don’t use Polaroid 600 film. Those cameras are SX-70 models. So you should use Polaroid Originals SX-70 film for those cams. They did few changes for this new model. This model can take 2 types of instant film. Polaroid 600 film which has a battery and Type I film which doesn’t have a battery. Plus they decided to have SX-70 decide coz it looks cooler. But 600 Film because its better quality than SX-70 film.